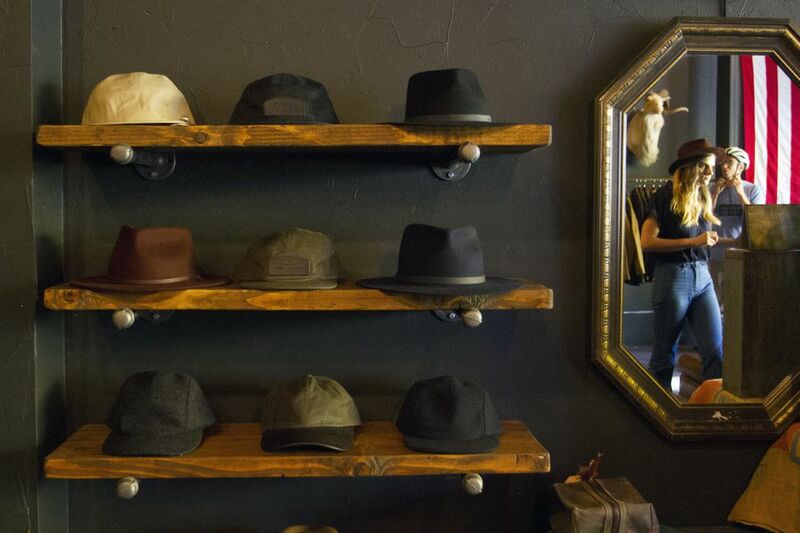 Anchorage-based clothier 49th Supply Co. isn't just a company that sells shirts and hats. It's also part of a growing cohort of new, youthful businesses that's trying to tweak the connotations of "Alaska-made." 49th Supply, which launched three years ago, teams with other small, Alaska-owned merchants to encourage buying locally. It also hosts events to promote Alaska artists and products, and does most everything with the goal of creating a symbiotic business community based on what makes Alaska, Alaska. It's one of the players in a new crop of entrepreneurs here who are focused on building community around their brands. They're hoping to capitalize on tourists who come to the state wanting something distinctly Alaskan, as well as the pride of people who live here and want to support the local economy. And they want to do it with modern style. 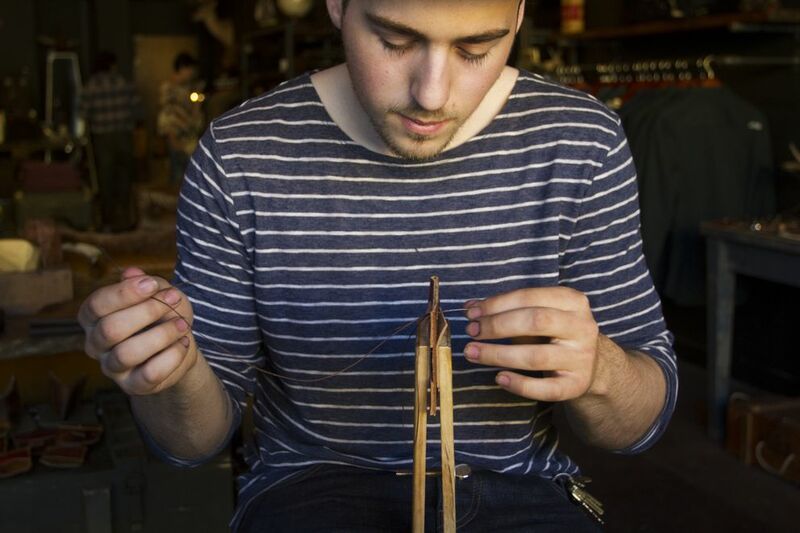 "Unfortunately, there's a little bit of cliche-ness that comes with made-in-Alaska goods sometimes," said Mikey Huff, 23-year-old co-owner of The Mercantile, a shop in downtown Anchorage that sells handcrafted goods and menswear and carries several Alaska-made brands. "You can pick them out from a mile away; there's salmon all over them. There's nothing wrong with that, but a lot of (these newer brands) … fall away from that Alaska-made feeling and could fall in with a shop in Seattle or San Francisco." You can see that at The Mercantile — sleek and simple cutting boards handcrafted by Fairbanks-based Gold Heart Supply, leather wallets made from old baseball mitts by Backwood Leather Stitchings in Anchorage. With modern but rustic designs, it's easy to imagine finding any of it in shops on Seattle's Capitol Hill, or in Portland's Alberta neighborhood. The store also carries a lot of clothing and goods from Outside. KC Mack, the 26-year-old owner of Backwood Leather Stitchings, has been making leather goods for about three years. He gets up around 4 a.m. to work before going to his day job at Alaska Tent & Tarp at 8 a.m., and then works on his wallets and other accessories well into the evening hours. He counts himself among a group of young entrepreneurs "who are really emphasizing made-in-Alaska, and what that means is, aesthetically, whatever you sell kind of reflects that essence of Alaska." Mack uses only material tanned in the U.S., and uses only American-made tools in his craft. "I think we have seen a resurgence of that style, of crafting with your hands," Huff said. He and shop co-owner Bex Farleigh, 22, designed and built much of the interior of The Mercantile themselves and he sells his own leather goods there too. "I think that's kind of just the natural progression of life. You get a lot of mass production and lower-quality goods, quick and cheap, and people are starting to walk away from that a little bit and wanting things that last a long time." 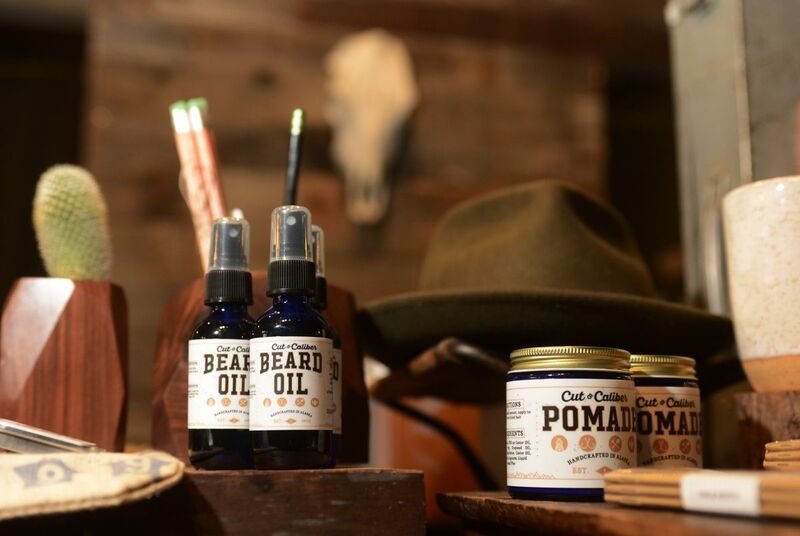 Take Cut & Caliber, a year-old Anchorage company that makes grooming products for men. 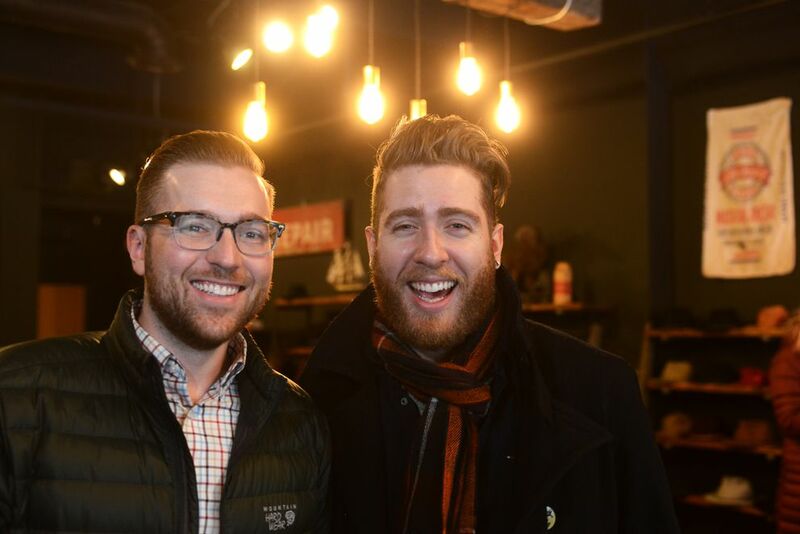 Co-owners Kyle Reading, 30, and Steven Cornfield, 27, mix their hair pomade, beard oil and lip balm at Cornfield's apartment — as fans of "Breaking Bad," they call it "cooking" — and slap on labels that Cornfield designs himself. The two are interested in style and wanted to launch a company that focused on simple grooming. "A lot of people (in Alaska) frown on that stuff in a way," Reading said. "A lot of people say this, that Anchorage is about five to seven years behind. The vibe that's already been in Portland is slowly making its way here." When it comes to their ingredients, they source as much as they can locally. And being an Alaska company has perks for selling to both locals and tourists. "A benefit of being a company here is you either capitalize on the mystique for Outside potential customers, or you rely on the fans that support local here," Reading said. But neither he nor Cornfield is getting rich on the business and they both have full-time jobs unrelated to Cut & Caliber. Reading works at CH2M Hill and Cornfield works at distribution company ACE USA. After its first year in business, Reading said, the company made about $18,000 in revenue, with a profit margin around 22 percent to 25 percent. They each sank about $1,500 into startup costs to get Cut & Caliber going, he said. "We're doing this because we love to do it and it's fun," he said. "We know we probably will never get to the point where it's full-time in the next couple years. You've just gotta be realistic and have realistic goals." At the Anchorage office of 3-year-old 49th Supply Co., paintings and photography from local artists hang on the walls. A Tribe Called Quest played in the background while owner John Idano explained the company's philosophy. "We're all like a little community," said Idano, 35. His business prints labels for Cut & Caliber, which also sells at The Mercantile. "We're all tied together." His brand focuses on simple, hand-drawn designs inspired by the Alaska wilderness (like sweatshirts that read "crafted by the outdoors"), but that are also suited for city life. Some shirts feature photography from Alaskans, part of an ongoing series of collaborations with local artists. He said 49th Supply is growing outside of Alaska too. It already has merchandise in Zumiez stores in New York City and Chicago, as well as Zumiez in Anchorage and Fairbanks. He wouldn't discuss the company's revenue but said that "typically each year, we hit our mark" when it comes to projections. He added that 49th Supply's offerings have grown from just "two hats and a beanie" to full collections. Trendy new entrepreneurs trading on their Alaska cred aren't going unnoticed among those who keep a close eye on the local economy. "I think it's great for the state of Alaska and Anchorage in particular that we have so many people who are trying to start that community," said Pamela Kauveiyakul, director of business and economic development at the Anchorage Economic Development Corp.
She also sees growth in organizations supporting entrepreneurs, like startup accelerator Launch:AK, coworking space the Boardroom or local seed funds. "We seem to be building this community to develop what we want to see in Anchorage," she said. Kauveiyakul added that new local-made merchants popping up might be particularly significant because of how crucial retail is to Anchorage's economy, and suggested it has potential to help retain residents. "It's a way to get young people to stay," Kauveiyakul said. "In my head it means they want to be here and stay here and have a community that allows them to do so." Retail is one sector that is growing in Alaska right now compared to recent years, as oil and gas and some other industries are experiencing layoffs. Anchorage acts as a retail hub for the entire state. "There's this huge entrepreneurial boom happening right now in the world," said Cornfield of Cut & Caliber. "And in Alaska, of course, that's going to hit us, but I feel like it's so small that all these people get big recognition because they're doing something completely different." Anchorage is the home base for many of these businesses but they're cropping up elsewhere too. The cafe and art shop Venue, in Fairbanks, sells plenty of Alaska-made paintings, photography, jewelry and crafts. It also carries housewares handmade by the husband-and-wife team that runs Gold Heart Supply. Based in Fairbanks, Chris and Cassia Calhoun started the woodworking company in 2011, sourcing all of their materials from Alaska companies (though the wood they use is from both Alaska and Outside). They work out of a 450-square-foot spruced-up shed down the road from their house, making polished planters, cutting boards and other kitchen tools. "Especially in Fairbanks, I think there's a thirst for things that are modern and things that are new," Chris Calhoun, 32, said. "And it goes against the trend in Alaska, especially in Fairbanks, of, 'If it ain't broke, don't fix it.'" "These groups of young people, it's bringing in a fresh wave for Alaska versus all these shops that have been around for 10, 20, 30 years," said 28-year-old Cassia Calhoun. If you walk through downtown Anchorage, you'll pass a lot of stores touting Alaska-made items, many geared toward tourists. But local goods like you'll find at The Mercantile are aiming to be different. A lot of items made in Alaska "get put on a shelf to be looked at," said Mack, the leatherworker. "Whereas a lot of stuff, Cut & Caliber, Gold Heart, we're trying to make stuff for everyday use. There's a huge difference there." "Most of the stuff (these younger businesses) are making is like, you're consuming or using," he said. "It's very much practical things, versus something that's an art piece that you display in your house." Social media has been a huge boost for this cohort of young businesses to gain a following. Farleigh, at The Mercantile, said social media makes it easier to happen upon new brands and designs and get inspired. That was a key part of marketing their shop before it opened. Jovell Rennie, the 24-year-old staff photographer for 49th Supply, said social media is crucial in making Alaska-made brands as well-known and relevant as anything sold in the Lower 48. "One of the things I see is it gives — I don't want to say the appearance of being bigger than you are, but one of the things that social media has done is allowed for people to develop a huge web presence when in reality it's three to seven people (at the company)," he said. But fostering a small business community in Alaska, especially one that is focused on sourcing as much locally as possible, isn't easy. It's usually not possible to get every item from within the state. There are no T-shirt manufacturers here. 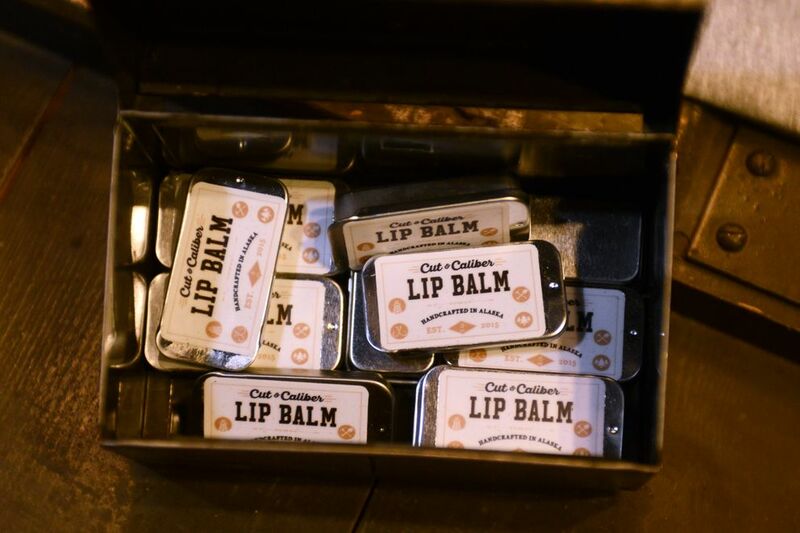 Shipping — like when Cut & Caliber has to order pallets of jars from Seattle or when these small shops ship out to customers around the country — is pricey. And it can be hard to figure out who your exact demographic is. "Really, our target market, (we're) still trying to narrow down how big that actually is in Alaska," Reading said. At The Mercantile, Farleigh said that she and Huff are "scraping by" and still trying to get the word out that the shop exists. It opened in June. "We don't expect overnight success," she said. "We're not like pulling in tons of dough by any means." Both of them also work as photographers, and Farleigh said that if on occasion they close the shop for a day because it makes more economic sense to do a wedding shoot, "it's not the end of the world." Cassia Calhoun said that being isolated in Fairbanks, and in Alaska in general, can also be a challenge and make things more expensive. But overall, she and her husband are optimistic. "I can't put my finger on it but there's something erupting here and it's going to take off soon," Chris Calhoun said. "I just know that all these businesses getting together and collaborating is going to create this amazing new community in Alaska."